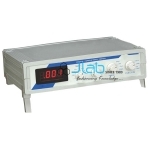 Jlab,TDS Meter Manufacturer, TDS Meter Suppliers, TDS Meter Exporter, Electrochemistry Instruments, Analytical Research Equipments India, TDS Meter India, Analytical Equipments. A TDS Meter is a very useful device found in a laboratory environment. 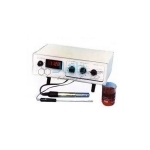 The primary purpose of this device is to detect total dissolved solids of a solution, hence the name given TDS Meter. In such a solution, dissolved ionized solids such as salts and minerals increase the conductivity of a solution. Thus, a TDS meter calculates the conductivity of the solution and estimates the TDS from that. A TDS meter usually displays total dissolved solids in parts per million. For example, a TDS reading of 1 ppm would infer that there is 1 milligram of dissolved solids per kilogram of water. Designed in ABS Plastic to provide the rugged portability matched in fields with the accuracy demanded in the laboratory.